Welcome back to the private label product launch, where we will walk through every detail of launching a product to sell on Amazon using Fulfillment by Amazon. 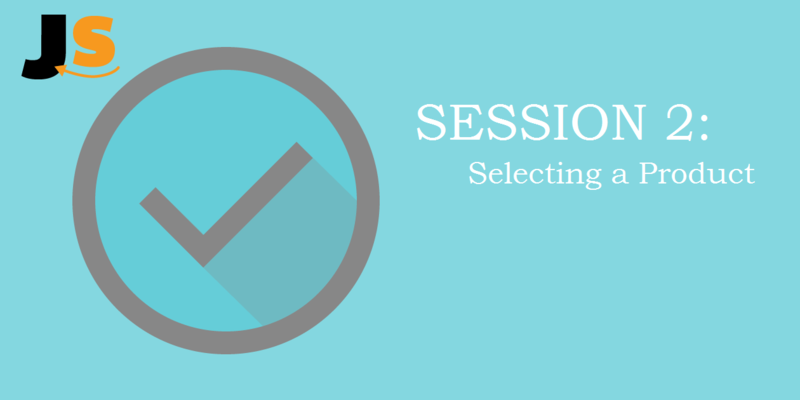 If you missed last week’s opening session, we walked through the ideal criteria for private label product and came up with a list of potential products. You can catch up on the blog recap or the YouTube replay of the whole webinar. Greg’s Pro Tip on Shipping: if you are launching your first private label product (and the purpose of this private label case study), air shipping is a must. Shipping by boat will require more time (30 days as opposed to 3-7 days by air), more paperwork, and logistical planning. The amount saved in shipping by sea is not worth the lost time in getting a product listed and actively selling. Until you have an idea of how the product actually sells, and can forecast and plan ahead, it is highly recommended to have your products sent by air. We will cover this in more detail as we encounter these decisions. Until then, make sure you don’t have your inventory (and cash) sitting idle crossing the Pacific Ocean if you can help it! So let’s dig into these products a bit more and figure out what the pros and cons of each are. Sufficient Depth: In this case, “depth” refers to the amount of sales, and the distribution of sales. 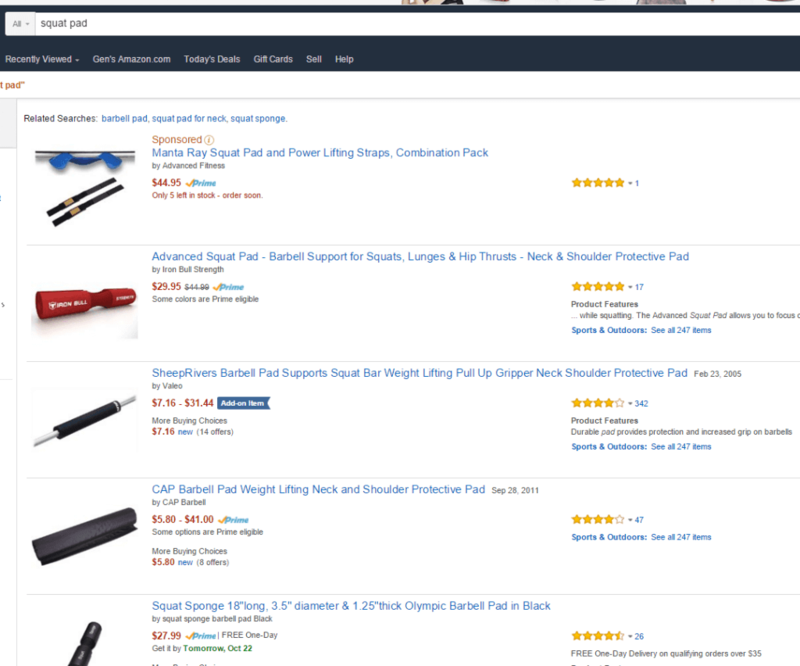 Are there roughly 3000 sales per month for the top 10 products for this keyword? If so, are those 3000+ sales distributed fairly evenly across the top 10 listings, so that even the 10th seller has about 300 sales per month? If the answer is “yes” for both, than it seems there would be enough depth. Note that these are simply rough benchmarks that Greg uses, not hard and fast rules that you must abide by. Not Overly Competitive: If we had 50 to 75 reviews, we would be ranked highly enough to generate organic sales. We Can Sell 10+ per Day: We would likely be able to achieve our goal of 10 units sold per day if we were able to get into the top 10 products. Likely Inventory Challenges: There are various sizes and colors for each item. If there are 5 different sizes and 6 colors, that would be 30 variations for this one product. An inventory headache indeed, especially for a first product. Which Product Size/Style Sells Best? A good solution for this is to opt for a one-size-fits-all option (imagine a Velcro strap). Sometimes Amazon will show the specific BSR for the variations of size and color but not in this case. Therefore it is hard for us to determine which product and size sells the best. 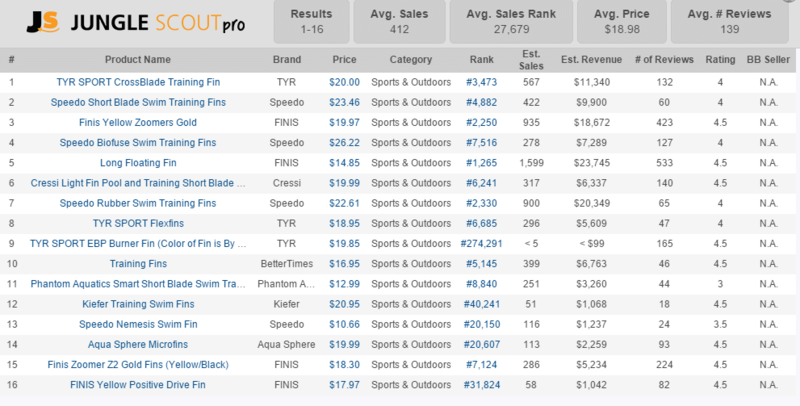 Existing Big Brands: There are a few big brands in the space (Speedo and TYR). This may make it more difficult to have our private label brand to compete. For whatever reason, there are very few FBA sellers for this product—maybe it is a hard product to sell FBA? Some Seasonality: taking a look at Google Trends, there are slight ups and downs through the year, with small spikes in demand during the middle of the summer and fall. The exact reason for this is unclear at the moment, perhaps worth looking into further before we choose this item for sure. Overall this looks like a good product—enough sales, distributed across 10 or more sellers, and not overly competitive based on the number of reviews. There are a few points of uncertainty that need to be examined further: how seasonal is the product? Can it be manufactured at a price that would yield a profit? Is it worth the inventory challenges of having different sizes and colors for one product? We used the Chrome Extension for our product research and the Web App to keep track of potential products. Check them out now! Greg’s Pro Tip: How do you know if a product has inflated numbers due to a promotion or giveaway?After determining that a product looks attractive on first glance, you should track sales activity on a daily basis to get a better understanding of how the product actually sells. For our products, we tracked them over a week to gather daily inventory, daily sales, and daily BSR. Large spikes and fluctuations would indicate that a promotion or giveaway has been inflating the numbers that initially made the product look attractive for private label. You can see for the training fins below, there is some fluctuation in the BSR between 5,000 and 12,000, and not a consistent sales trend over this short time span of 7 days. Products with low review counts can see especially large spikes in rank during a giveaway. 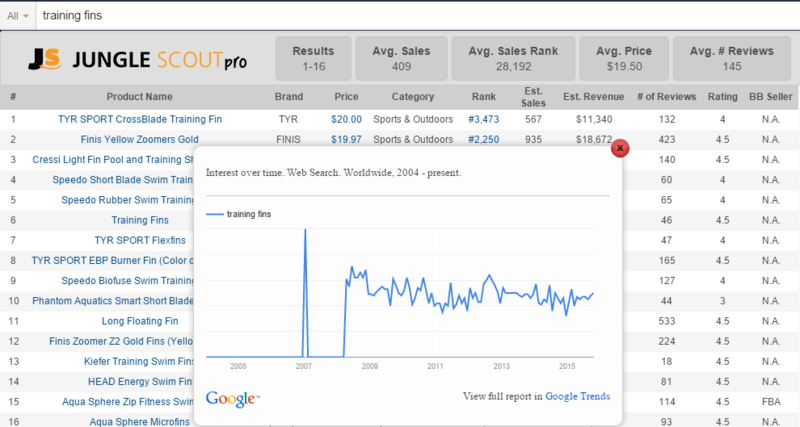 The ideal graph for tracked data would be consistent sales and rank figures. It is important to note what the scale is on the graph of tracked data—a change of a few thousand for BSR is normal, though fluctuations between 2,000 and 50,000 indicates a promotion. Greg’s Pro Tip: If there are various styles for a given key word, then filter the Jungle Scout results by the Sales column to see which styles sell the best. Take one step further to clean up the results by removing any products that are outside of our ideal criteria, like the items that are $8. You can do this by simply using the Jungle Scout Filter, and set the price minimum to $20. The higher priced items likely offer a better margin for each item sold. Opportunity to improve on the existing listings: The bamboo marshmellow sticks that are selling well do not have optimized listings. There is only one product image, not much of a product description, and some unclear information (like how big this product is). Solid Margins: The bamboo sticks that are selling well and are priced at $28 have very lucrative profits. Assuming even a $5 cost of goods sold, we can expect a $17 net profit after FBA fees. That would add up quickly to be a nice donation to charity! 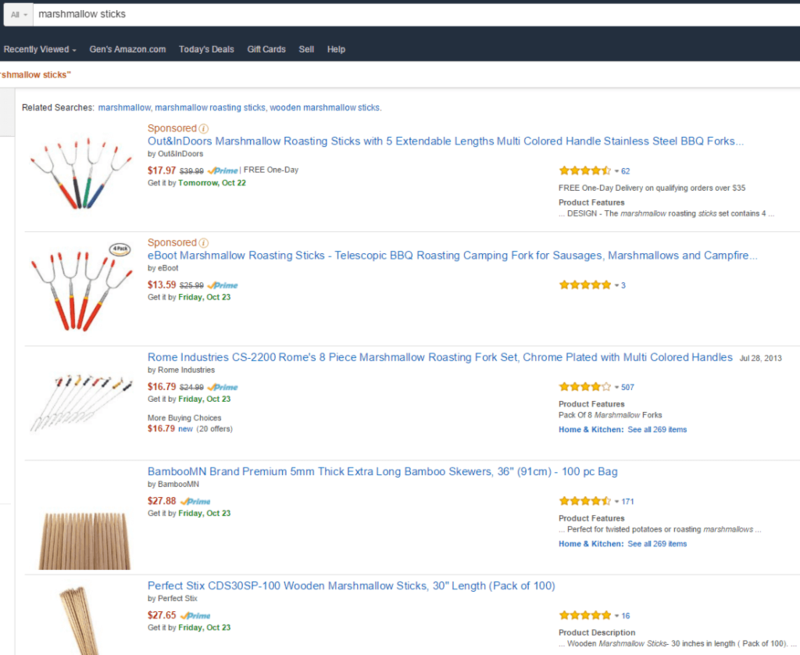 Oversized Product: The marshmallow stick is 36” and therefore falls under Amazon’s Oversized Inventory. 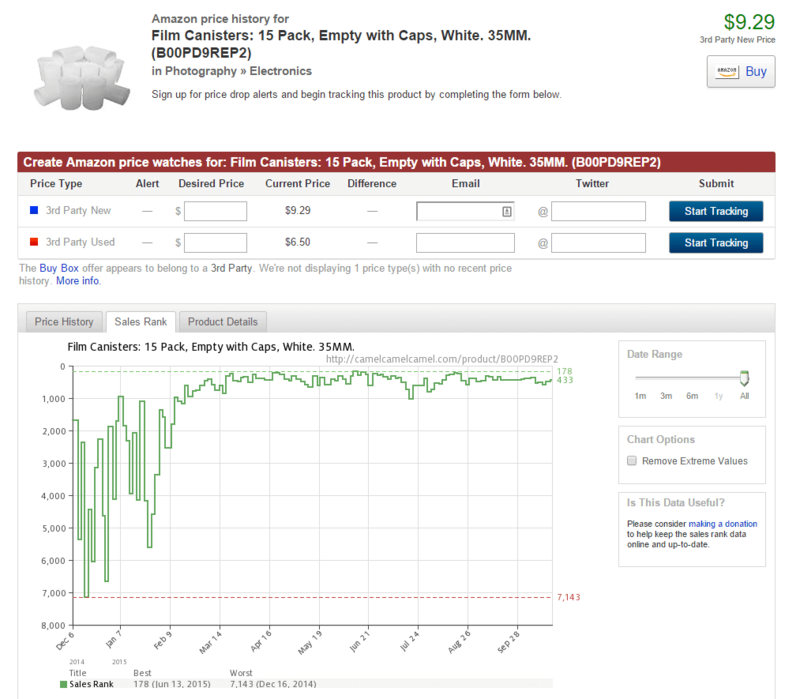 The FBA fees would higher (even $10 per unit sold), and Amazon would limit our inventory to 500 units to start. It is a Seasonal Product: As you may guess, there is a slight seasonality to marshmallow sticks. Summer and Fall sees higher numbers than winter time. Sales in December may be twice as high as those of January. This looks like a very promising product, despite being an oversized product with a bit of seasonality. One possible red flag may be any regulations addressing importing wood or bamboo, or FDA or regulations regarding the sticks as cooking utensils touching food. This is something that we will have to investigate before we decide to commit to selling marshmallow sticks. Sufficient Demand and Depth: enough sales per month, and distributed across a number of sellers, works in our favor if we were to sell this. Not too Competitive: There are not too many reviews for any existing product, so we could realistically rank well if we were to promote the product at launch and generate some reviews. Good Price Point: the general price for the pull up grips would be in our sweetspot of ~$25. There are a few sellers that have very low prices that are hard to compete with, who knows how sustainable those prices are if they are losing money with each sale. Simple Product: This is a product that could probably be sourced from China with minimal quality control issues. A simple and straightforward product that won’t break down easily. Various Sizes and colors: Though not as man variations as we saw with the training fins for swimming, we do see that there are 3 different colors and 4 different sizes for some of these pull up grips. This may just mean more inventory and logistics to handle. Difficulty Differentiating: If we want to get a product that sells at $25 with a handsome margin per unit sold, we will need to find a way to differentiate and convey that to customers. That may come in the form of a carrying bag, better materials, nicer packaging, or anything else that would create room for premium pricing. 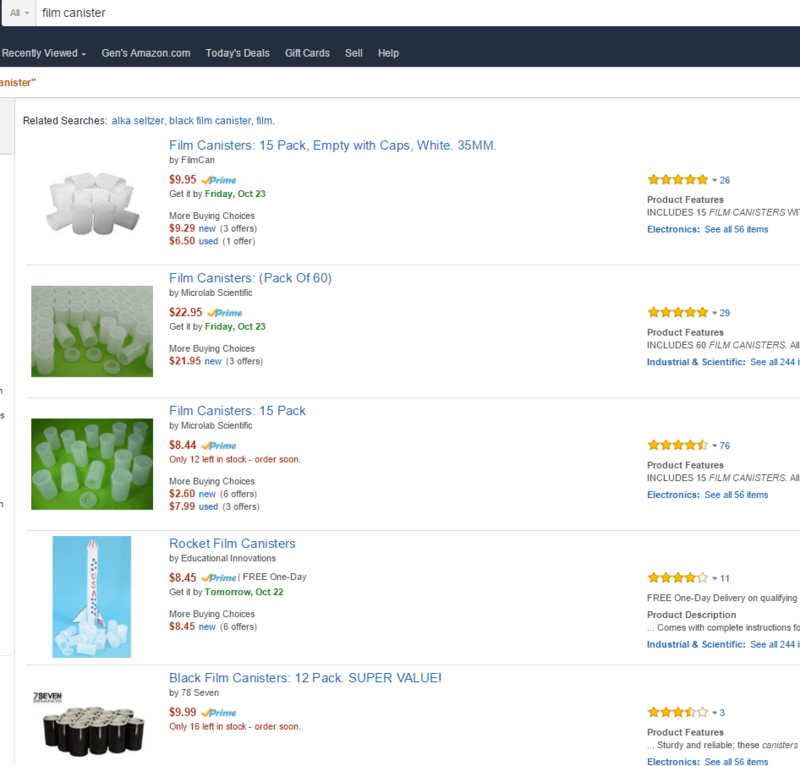 Not Competitive: There are very few reviews for existing listings of film canisters. We can probably rank in the top 5 after one promotional giveaway to generate some reviews. Bundle for more sales and higher margin: In the past week, the items that include more canisters per unit (in this case, the 60 unit package) has been selling better than the smaller packages. This is an opportunity for us to differentiate by selling larger packages and netting a bigger margin (in dollars) per sale. 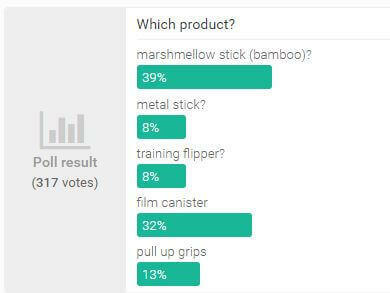 Increasing demand: A look at Google Trends and CCC both show that demand for film canisters have increased in the past few months. Two audience hypotheses was a back-to-school spike in demand to use the canisters for science project rocket ships, or alternatively to use as containers for medicinal cannabis. Regardless sales have been improving and becoming more consistent. A look at the sales data from CamelCamelCamel will reveal a significantly improved Best Seller Rank and less volatile fluctuation. Not Great depth: Not many sales beyond the 4th ranked product (therefore we can’t meet the 10 sales per day). Slight drop in sales: Based on the data gathered in the Jungle Scout Product Tracker, sales have tapered off since last week. Ideally there would be more sales than what we are currently seeing. This is a product with growing demand and good potential as a private label product. 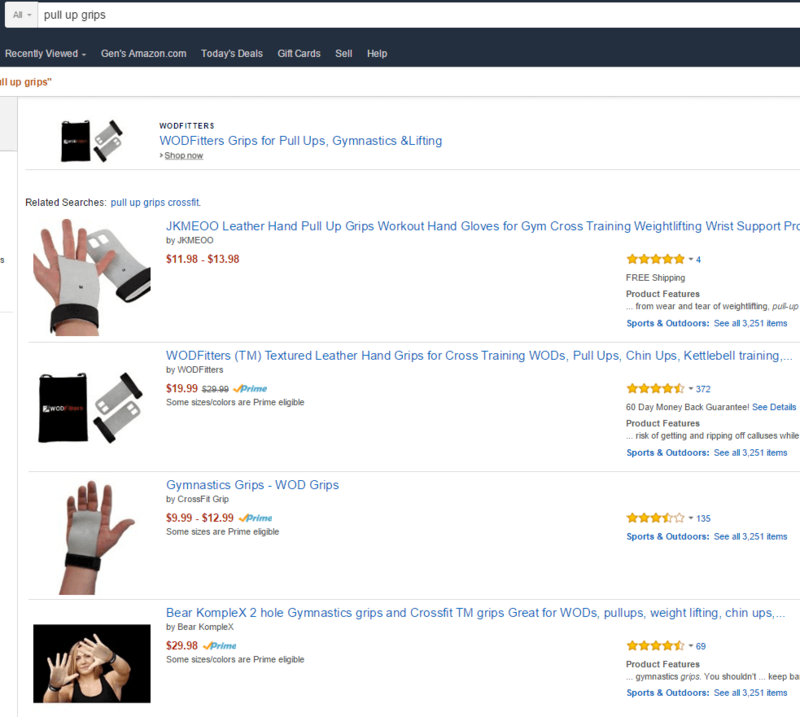 At a brief first glance, it may be a challenge to source this from a manufacturer who is also not selling on Amazon, but it is worthwhile to look into further. A solid private label product overall. It looks like the figures we analyzed last week were artificially inflated, where we were seeing 10-15 sale per day, now it is 2-4 per day. The Jungle Scout data shows a more normalized sales estimate without promotions to inflate the BSR to be better than it is regularly. There is also some competition from other sellers, not all of whom are meeting our goal of 10 units sold per day. In short, we will not pursue squat pads any further at this point. The next step will be selecting a product, finding a manufacturer, getting sample products, and choosing a manufacturer. We will share our interactions with the factories and the email templates we use to reach out. In our next webinar, we will share the progress we’ve made and how the conversations played out. Which product do you think we should pursue as our private label product? Please share your comments and insights below in the comments section, we want to hear from you! Until next time, Scouts. If you are not registered for these upcoming webinars, simply register for free at this link, and we will notify you when our next webinar will be. Hello, I really like this software. Is there a Chinese version? We do indeed have a Chinese version – you can head over to https://www.junglescout.cn/ to check it out! In each of these cases, there are over hundreds of reviews for other sellers in each category. Didn’t you always say we want most to have less than 50?I would have ruled these products out immediately. Am I analyzing incorrectly? This is a post from 2 years and lot of things seem to change on FBA. Would you still go with the same criteria (sales > 3000, reviews ~ 75) today? How do they go about finding a supplier for the product they’ve researched? I can never find a supplier who’s selling what I researched. And in the Million Dollar Case Study for Jungle Snugs and Million Dollar Case Study Europe. Hope this helps! Thanks for the info and tools you are sharing. Im a big fan of JS. I have a question regarding to product tracking. Now Im tracking a couple ofproducts and dont understand something. 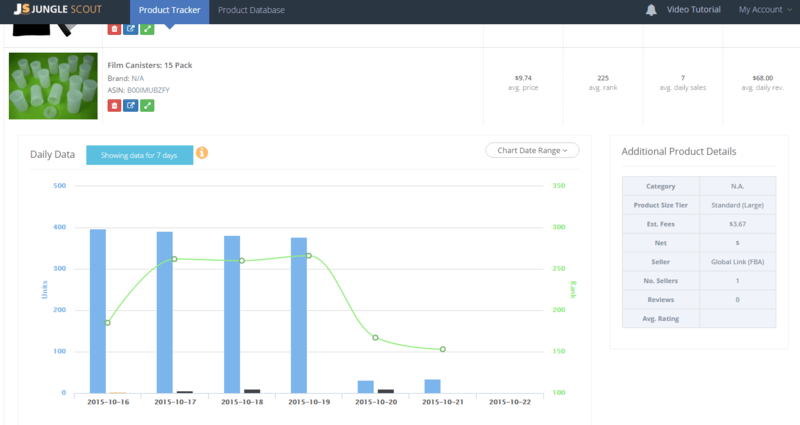 The product tracker tracks the product according to ASIN. on the right side I see number of sellers. lets say there is 4 of them. when I track my product and it saying that avarage daily sell is 20 than it is just 5 (20:4) for one seller. am I correct? thanks for the webinar. You are doing an amazing job, more importantly you are doing it for free. I find your webinars very helpful and your jungle scout software is great. 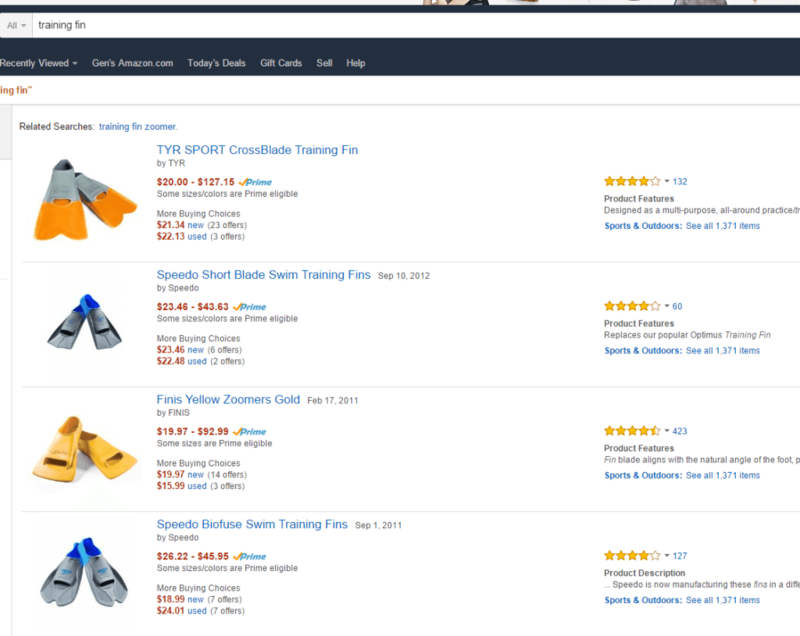 I just stumbled into Amazon FBA about two weeks ago and your webinar has given me a good direction to finding my first winning product. Thanks for the post, very help full. In the webinar, Greg mentioned a template in order to contact providers, however, I cannot see it in the blog post. Could you please put ? Yes, we’ll get that put up in our next blog post! I’ve spent about 2.5 years working in China. The Canton fair is ENORMOUS and the largest of any in the world. Be sure to check out where the vendors are located before you start walking around. Otherwise, it’s overwhelming to try and walk to see everything. I wish I could meet you, but I’m really enjoying your webinar and using Jungle Scout.